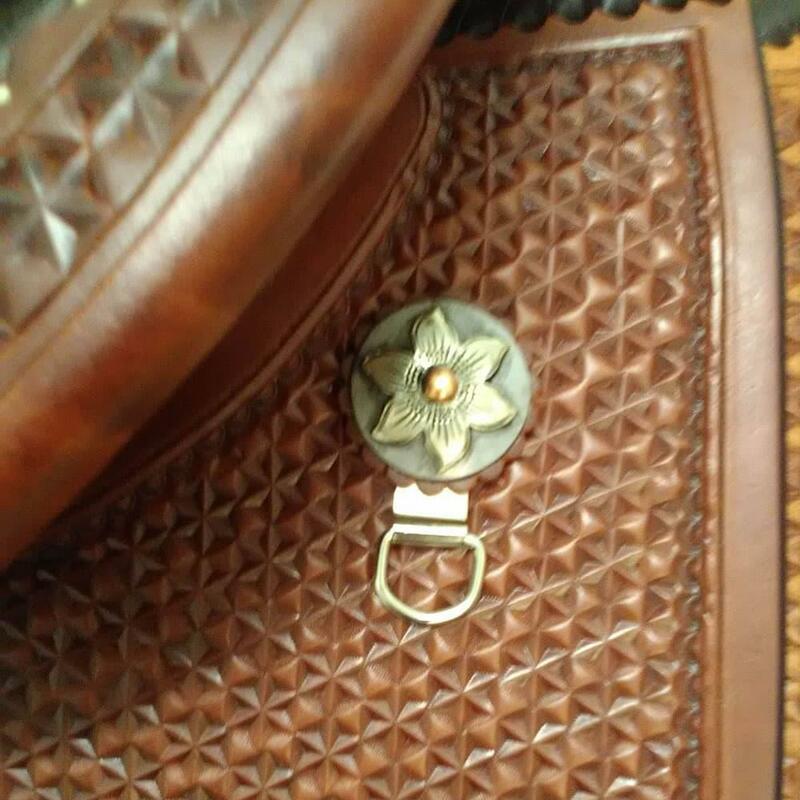 This Roping Saddle checks all the boxes! Beautifully tooled and presented in a rich, Hot Oil finish, this Jody Ramer design will stand out in a crowd while it gets the job done! Leather wrapped tree. 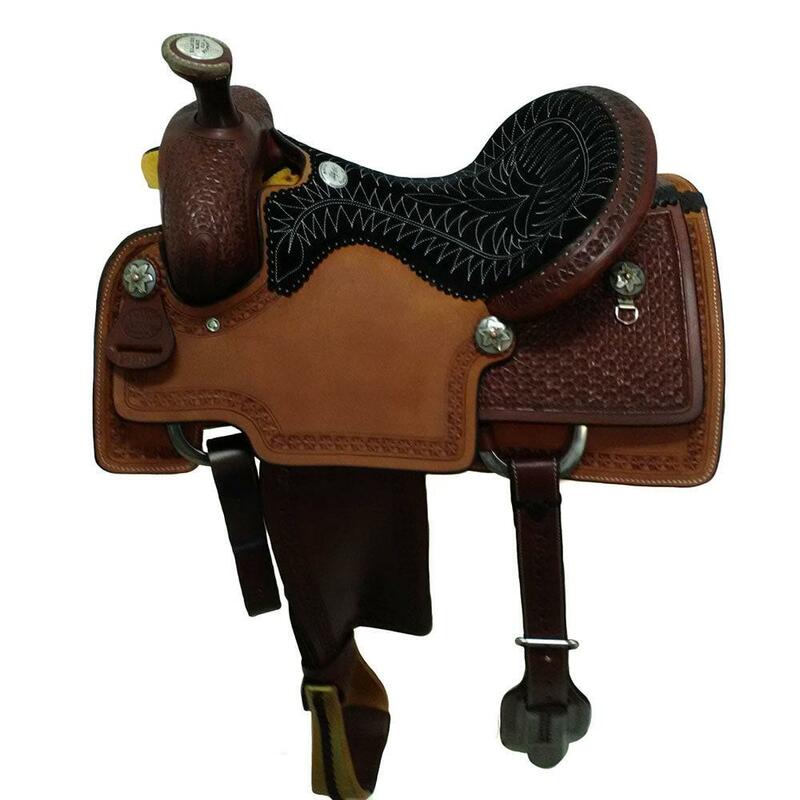 Fully tooled skirts, cantle and swells with grippy and soft roughout jockeys and a fully stitched and padded 15" black roughout seat. Rawhide laced roper stirrups. The contoured roper style flank cinch will help keep your saddle where it belongs during hard stops and quick turns. This work of art is further accented with antiqued floral carved conchos with copper centers. 15" Black Suede fully stitched seat. 26-1/2" skirt length with 14" drop. 3" horn with 2-3/4" rawhide lipped cap.